Cute animals invite you to start a new adventure: desert oasis, diffuse island, magical magic, mysterious props, and stupid little monsters to give you the most refreshing and most hearty gaming experience! 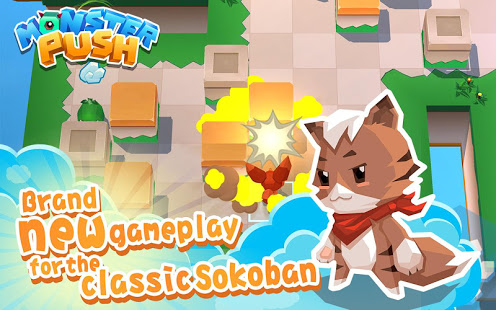 Download now and experience this addictive cute game! 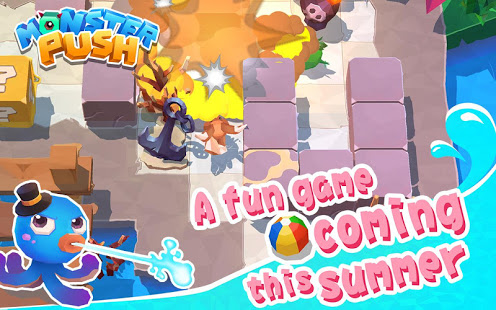 Monster Push is a refreshing puzzle action game. Small animals beat monsters by pushing boxes, gaining new companions, collecting props, and unlocking skills. 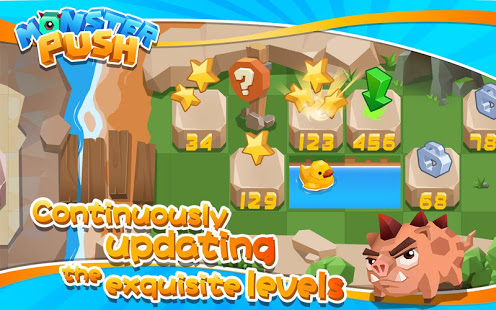 Each small animal has its own unique skill system. 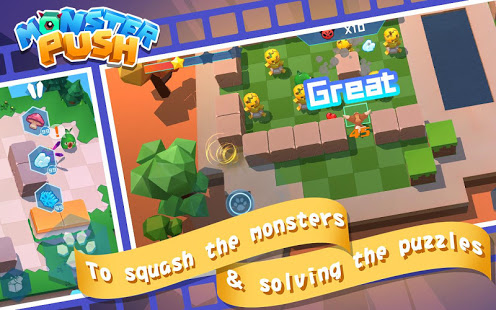 Complete the challenge by defeating monsters with wisdom, challenges and strategies! * New gameplay: Push the box to hit the little monster to protect yourself. Watch out for monsters from time to time and challenge them bravely! * The first light solve mystery game: push the magic cube to hit the magic box, let the magic box drop the magic cube, collect the magic cube is our goal. Is not it simple? Sorry, little monsters don't want you to easily collect magic cube. They will come to trouble! * Beautiful scenes such as the empty island, diffuse island, and desert oasis are free to play. 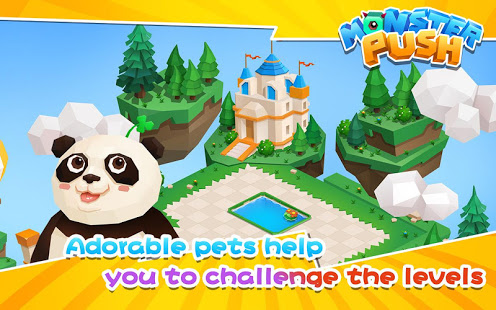 *The 6 kinds of attributes are free to develop, and you can cultivate your own cute animals. * Variety of unique skills such as amazing magic, overpassing, lifting and more! * Dozens of mysterious props help you to defeat monsters!